We are offering a wide range of Industrial Solid Carbide Reamers is manufactured by us for multipurpose industrial utility. 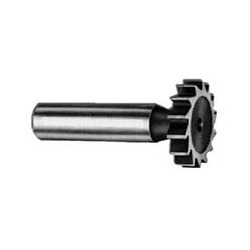 These can be used fixing in the spindles of various machine-tools such as drill presses and many more. We are engaged in offering a comprehensive range of keyway milling cutters which can be customized as per the clients specifications. a cutter with radically machined form relieved staggered teeth on the periphery far milling keyway slots. Our expertise in the industry enables us to offer a comprehensive assortment of Key Way Milling Cutters that are extensively used in various manufacturing industries. These cutters are procured from eminent manufacturers who develop these products making use of finest quality raw material and advanced technology. we offer a huge range of key milling cutter that is manufactured in hss m-2, m-35 & m- 42 as per the drawings and specifications of the clients. Our handheld key cutter provides excellent performance for a longer period of time. Key milling cutter provided by us is the perfect blend of high quality and accuracy. We are counted among the ecstatic key cutter manufacturers, based in india.